Public credit registry is a database of credit information for India that is accessible to all stakeholders. A PCR is maintained by a public authority like the central bank or the banking supervisor. 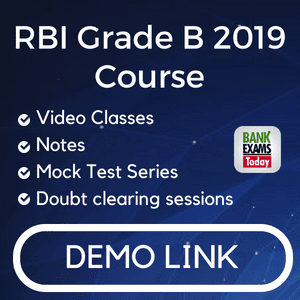 The RBI has set up a Public Credit Registry to address the twin balance sheet problem of the banking and financial sector. The RBI has formed a committee which is chaired by YM Deosthalee former CMD of L&T Financial Holdings Ltd and will have 9 other members. It helps in maintaining to keep records of individual and firms on unpaid debts and credit outstanding. 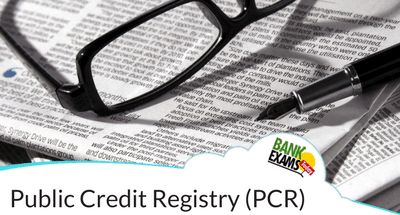 PCR helps in credit assessment and pricing by banks. It will help in supervising and early intervention by regulators. It also helps in analyzing how to restructure stressed bank credits effectively. To understand if transmission of monetary policy is working and if not then, where are the obstructions are? By its transparent Public Credit Registry, it helps in making better credit decisions. It helps in enhancing the efficiency of the credit market, increase financial inclusion and improve ease of doing business. PCR will also improve access of credit to small and medium enterprises. The task force will submit its report by 4th April 2018. The RBI stated that the task force will also study the best international prices on Public Credit Registry. It decides the structure of the new information system. As per the survey of World Bank out of 195 countries that were surveyed 87 were having PCR. All these bureaus provide credit scores and allied reports and services. The bureaus are regulated by the RBI under the Credit Information Companies Regulation Act 2005. 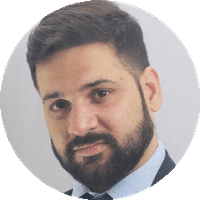 How Public Credit Registry help in India? It helps in improving the creditworthiness in India. Through credit information systems it imparts transparency in the credit market. At present scenario, Banks are surrounded with NPAs which results a hurdle in taking credit decisions so, a transparent credit history would help the bankers to take credit decisions effectively and efficiently. As in India, the large borrowers get an advantage in credit markets due to their goodwill in the public space. They have good creditworthiness, brand image and supply of collateral and as compare to small and marginal entrepreneurs, micro small and medium enterprises sector have disadvantaged of all these factors so, transparency of credit information would serve as a reputational collateral for such borrowers. PCR also helps in supervising and policymakers to assess the credit risk of the entire system.